Artwork from the August 20, 2000 Flash Gordon Sunday page. Thinking back, she wasn’t the first celebrity I had used for inspiration when it came to Flash Gordon supporting characters. 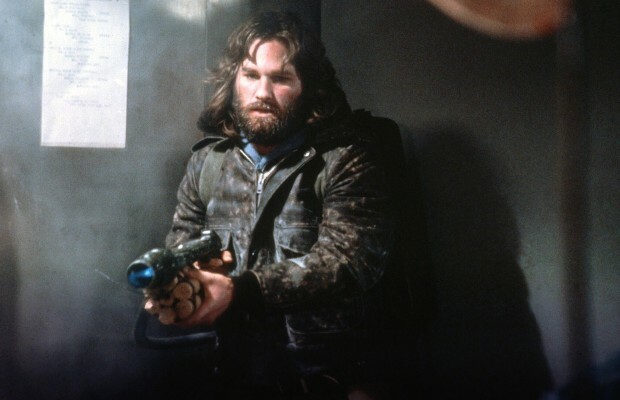 When Flash needed help fighting werewolves, Kurt Russell was called in, cast as Thorne. Artwork from the June 23, 1996 Flash Gordon Sunday page. Artwork from the August 4, 1996 Flash Gordon Sunday page. 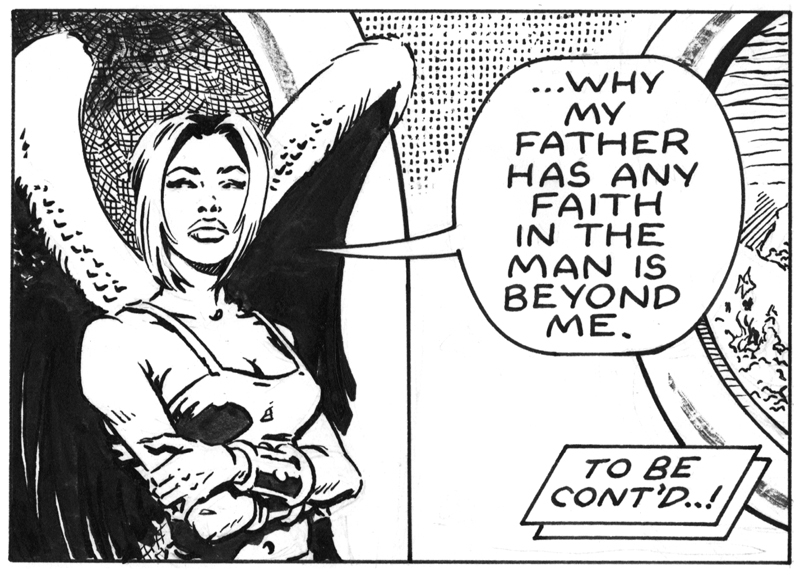 Artwork from the June 21, 1998 Flash Gordon Sunday page. 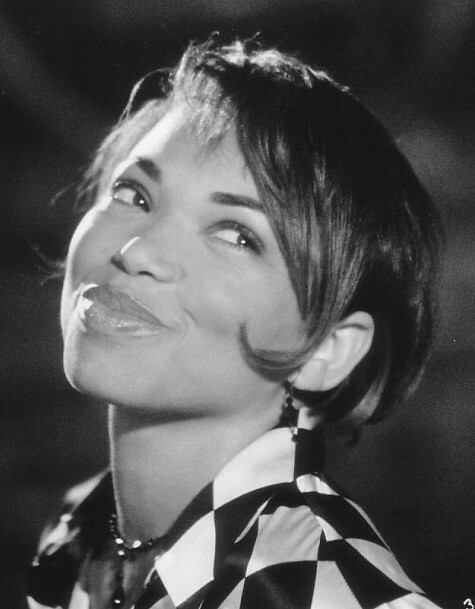 Before Tionne Watkins, there was Tisha Campbell as the strong-willed hawkwoman, Teesha. See how I cleverly changed the name so it wouldn’t be obvious? Artwork from the January 26, 1997 Flash Gordon Sunday. 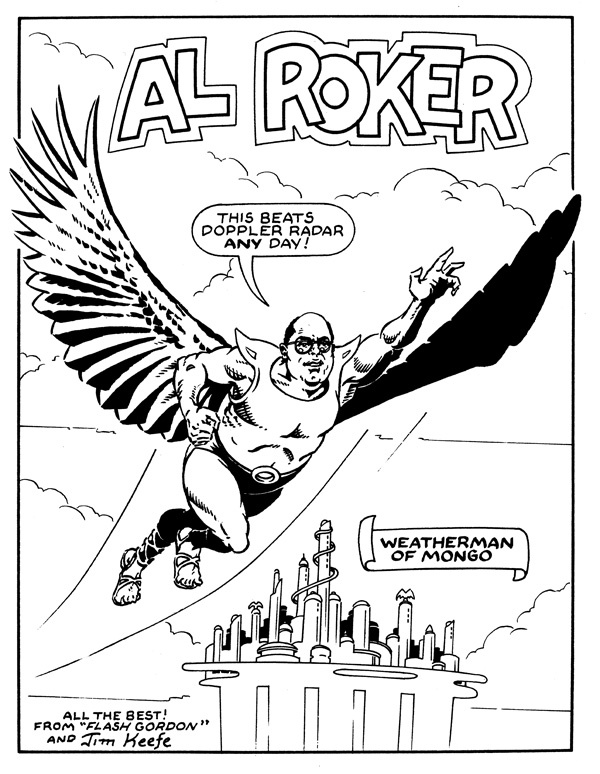 This last likeness wasn’t for the strip, but a request to weatherman Al Roker. 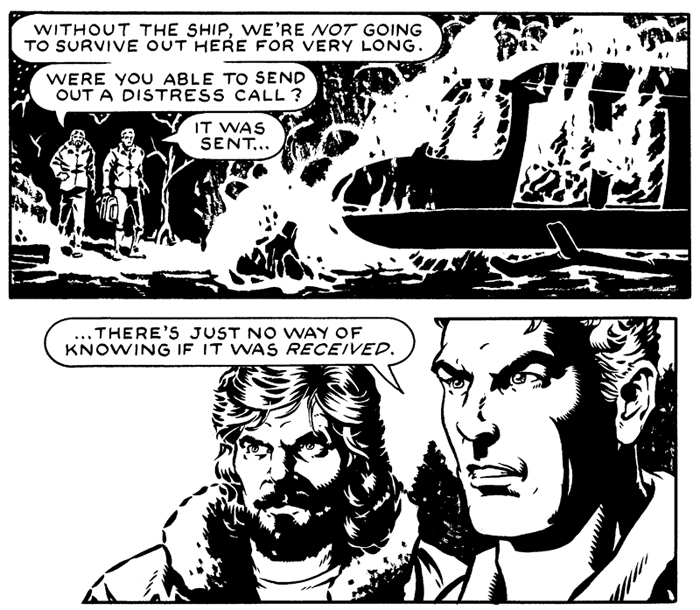 Back in 1998 the New York Daily News had dropped a bunch of their adventure strips, including Flash Gordon. As Al Roker was known for being a staunch supporter of the comics (having wanted to be a cartoonist when he was younger) I alerted him of the Daily News dumping Flash – and he generously wrote a nice piece on his blog lending his support. 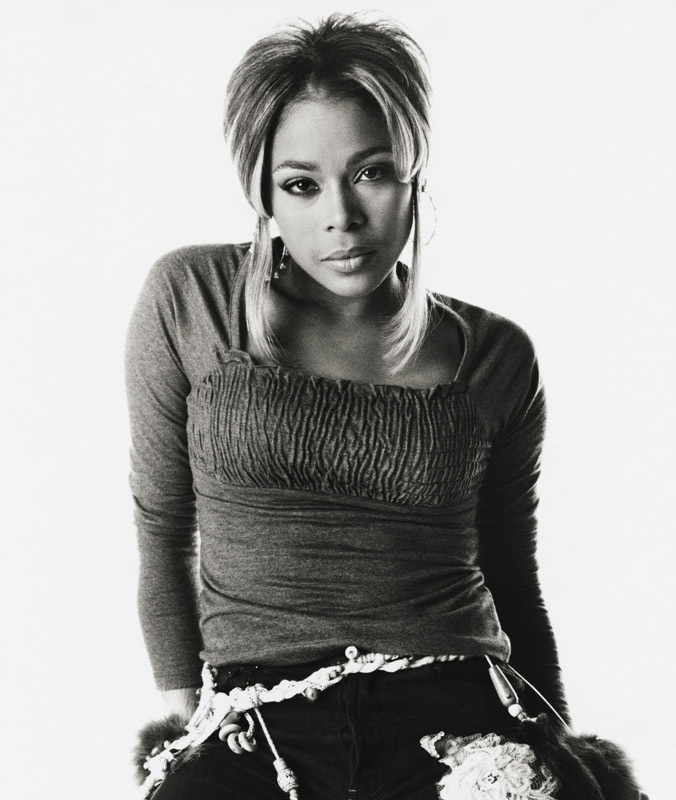 This entry was posted in Flash Gordon and tagged Al Roker, Flash Gordon, T-Boz, Tisha Campbell. Bookmark the permalink.